Newer (2006) CBS 4/2/2 on oversized .24 acre lot. 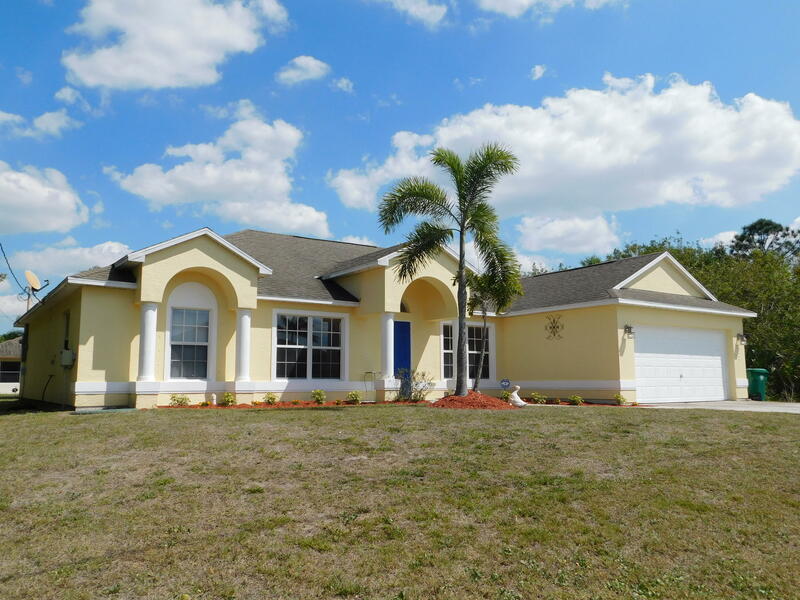 Desired SW PSL location with quick access to I-95 and Turnpike. New flooring, exterior paint, blinds (one room left for new blinds - on order). Open floor plan. Dual vanities, step-up roman tub and large shower in master bath. Trey ceiling in master. Covered patio and room for a pool. Buyer to assume remaining w/s assessment (<$800). Schedule your showing today.